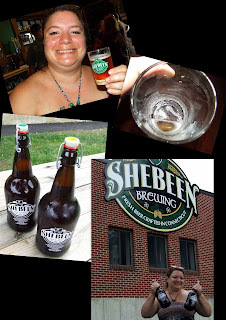 I was first introduced to Shebeen beer at a brewfest in June. 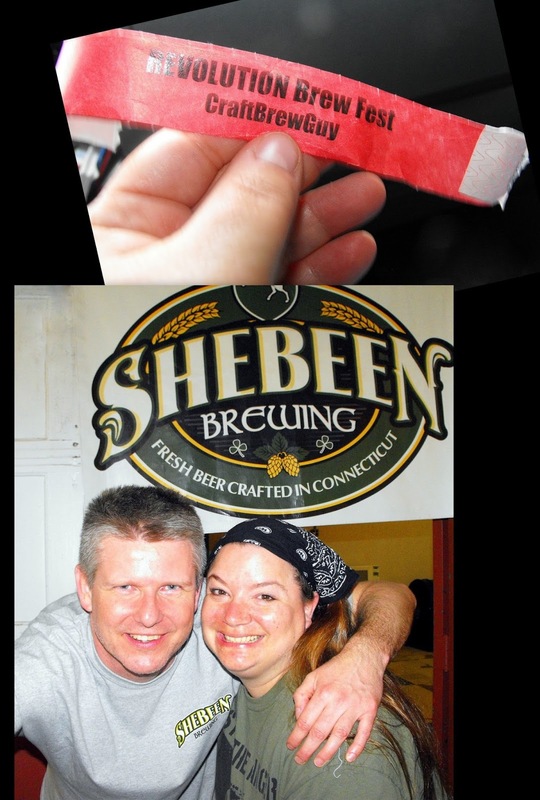 At the festival, I got the opportunity to sample three of Shebeen's brews and chat with Rich Visco - Headbrewer/Artiste/Mastermind/Man-behind-the-madness. I took me a couple months, but I finally made the trek to visit the brewery. 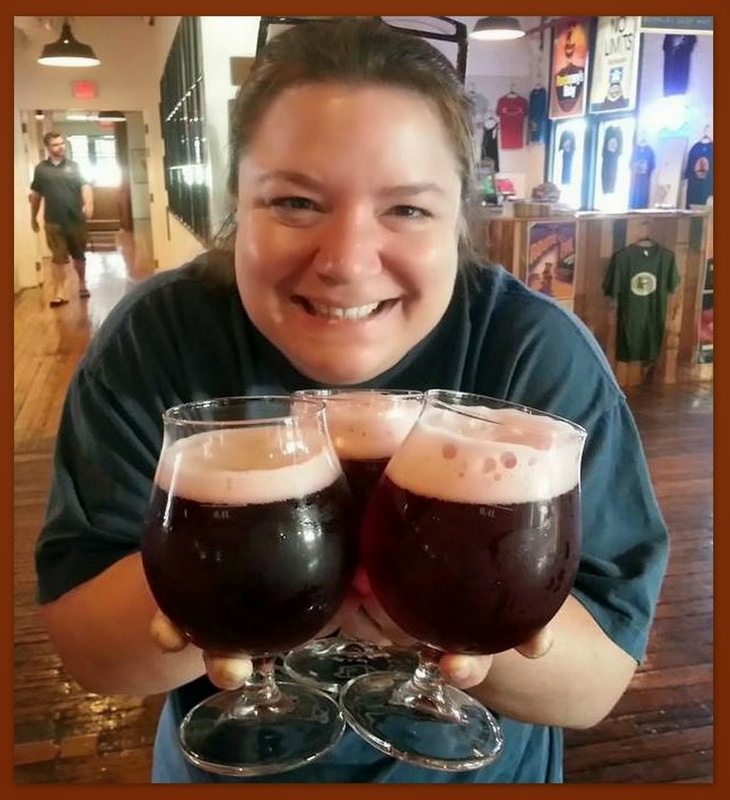 The brewery is small but impressive, the tasting room is charming and comfortable, and the staff is friendly and eager to pour. Oh, yeah, bring it on! And, bring it the lovely Terry did! 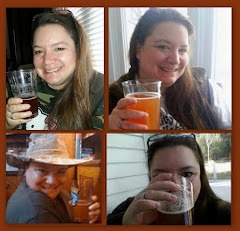 That girl knows how to pull a draft beer like nobody's business! After sampling a few wonderful brews, another Shebeen staffer, Mike, gave us a nickle tour of the brewery. I fully appreciate them allowing me to venture beyond the tasting room door considering the major upheaval and hubbub going on back there. 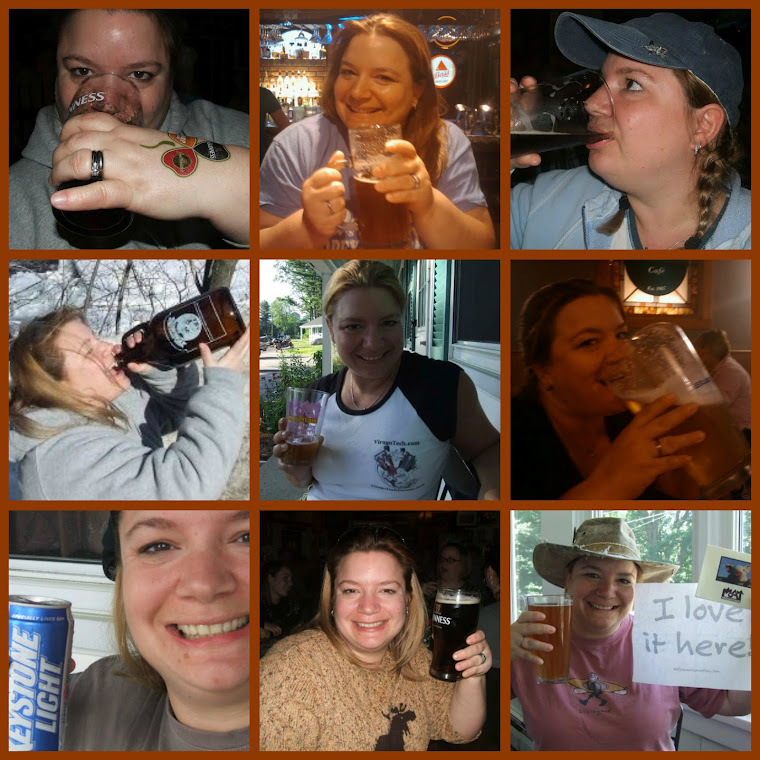 Especially, considering my prodigious aptitude for clumsiness, which is almost as great as my love of good beer. And that, my friends, is saying something! Shebeen is in the process of installing upgrades to their brewing system. Major upgrades. They're going from three little one barrel tanks to four huge thirty barrel tanks and two shiny new fermenters! They were physically in the process of positioning these tanks while I was back there checking things out. The energy and excitement in the brewery was palpable. Hopefully, now they will be able to keep up with the ever increasing demand for their yummy brews. In one corner of the brewery was a big crate. Concealed within is the breweries new canning machine. That's right, Shebeen in a can. How cool is that?? Coming soon to a store near you? That remains to be revealed. Rich was running around like a chicken with its head lopped off - sans the blood. Despite that, he took a few minutes to stop and talk to me. We talked about the upgrades, of course, but he showed off one of the casks he will be using for whiskey barrel aging - he'll be doing a double rye porter soon! But don't get too excited, barrel aging takes time. We chatted about other things, as well. I was sworn to secrecy but there are even more amazing things going to happen at Shebeen in the coming months. There are even a couple new beers in the works. It's all good and it's all awesome! German Cerveza (4.7% ABV) is a kölsch brewed with agave nectar. It was interesting, to say the least. It poured a clear liquid gold with a nice but quickly diminishing head. The aroma is somewhat grainy and sweet, very inviting. The taste is bright with a strong presence of malt and grain. Nary a hint of bitterness; however, the agave makes its presence known in the finish with a lovely sweetness that clings to the back of the palate. Really, quite nice. Overall: very good. Irish Pale (4% ABV) is pale ale. 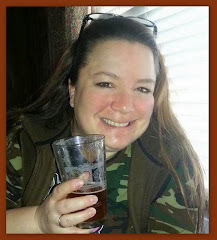 It pours a rich amber with a big head that dissolves into the beer leaving behind a wisp of foam. The aroma is malt forward with a hint of grain and hops. The taste resembles the smell; caramel malts, mellow hops and grain. Pleasantly bitter without biting balanced by the sweetness of the malt. Light and sessionable. A great beer to drink any time for any occasion. Overall: very good. Cannoli Beer (5.2% ABV) is an American Pale Ale. Served with a rim of powdered sugar and a sprinkle of cocoa atop the foam, this is a Shebeen favorite. The aroma is, well, like a cannoli. The taste is wonderful! The airy sweetness of the sugar and subtle cocoa enhances and sends the spicy ale over the top. I could drink this ALL day long. Or for a liquid dessert at the very least. The taste clings to the palette. Mmm, so good. I also drank this without all the fixins and the beer stands very well on it's own. Cinnamon and nutmeg come forward making for a gently sweet, quaffable brew. Delicious! Overall: excellent. A big thank you to Rich and his staff for making my visit so delicious and eventful. I left the brewery very happy with a growler each of Pineapple Wheat and Cannoli. I'll be back soon!